An activity that could be used to embarrass her brother at a very critical time in the fortunes of the labour movement in Ireland. In his revealing article ‘Delia Larkin: “More harm to the Big Fellow than any of the employers”?’, James Curry identifies a substantial rift between Delia Larkin and her brother James which began in 1924. The probable cause of the rift, according to Curry, was that Delia’s husband Pat Colgan had broken the picket line of a strike at Kingsbridge Station with his Rapid Transit Company (a haulage firm), accruing easy money while workers were out on strike. According to Larkin’s lifelong friend Jack Carney, ‘From that day to the hour of his death, Jim never spoke to Delia. They lived in the same house and sat at the same table but no word passed between them.’ Curry, however, deduces from a number of facts (primarily that they lived together for two decades) that there was probably a degree of exaggeration in Carney’s claim. Nevertheless, it was a substantial rift, and other contemporaries have attested to the strained relations between Larkin and his sister. It is important to put the Rapid Transit/Kingsbridge episode into its proper context. This anti-strike incident took place thirteen months after Larkin had arrived back in Ireland from America (in April 1923). 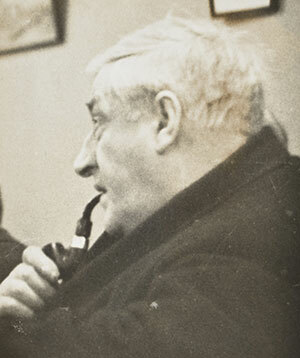 Shortly after his return, he had attempted to wrest control of the Irish Transport and General Workers’ Union (ITGWU) from William O’Brien (treasurer) and Thomas Foran (president), initially through the mechanism of the branches, relying on the large Dublin branches that were sympathetic to him. The branches voted to suspend O’Brien et al. pending an inquiry. O’Brien, however, took the issue to the civil courts and, not surprisingly, Larkin lost. Larkin was expelled from the ITGWU, with O’Brien becoming general secretary. The Dublin membership, with Barney Conway and the gas workers in the vanguard, made another attempt to regain ownership of the union and occupied Liberty Hall on the night of 24 May 1924. The Free State, under the direction of Justice Minister Kevin O’Higgins and his new chief commissioner of the Dublin Metropolitan Police, W.R.E. Murphy, ensured that O’Brien retained control of the union’s iconic building; with the help of the army, the militant members of No. 1 Branch were evicted from their branch office in Liberty Hall and charged. When the 45 Larkinites were brought to court, they were found innocent of the charges against them but were nonetheless jailed in a blatant case of judicial bias. As a result of Larkin’s expulsion and the failure to retake the hall, the Workers’ Union of Ireland (WUI) was formed in June 1924. There were now two rival unions, not only competing for hegemony of the Irish working class but also engaging in a bitter battle to recruit members and survive. It is in this context of two competing unions that the significance of the Rapid Transit Company affair needs to be viewed. Not surprisingly, the Voice of Labour, the organ of the ITGWU, made much of this unfortunate incident of strike-breaking within the Larkin family. Larkin’s Irish Worker (30 August 1924) made an emphatic denial that any picket line had been broken: ‘In this week’s “Vice” [the ITGWU’s Voice of Labour] there is a statement that the lorries of the Irish Rapid Transit Co. delivered goods at the Kingsbridge. This statement is a deliberate lie … No lorries of this company have been near Kingsbridge since the commencement of the strike.’ Fortunately, legal documents concerning Larkin from 1932 clear this issue up once and for all. Interestingly, they also reveal another reason, perhaps the more substantive reason, why Delia was out of favour with her older brother. In 1932 James Larkin applied to have his current bankrupt status annulled (he was considering running for election). His bankruptcy arose out of a defamatory article on Thomas Johnson, leader of the Irish Labour Party, in the Irish Worker in 1924: ‘Johnson incites to chaos’—an attack on Johnson’s speech to the Dáil on unemployment. Johnson was an ally of O’Brien’s at this critical time in the labour movement. He was talked into pursuing a libel case against Larkin by the executive of the Irish Labour Party and Trade Union Congress, spearheaded by O’Brien. O’Brien, demonstrably obsessed with Larkin (as his personal papers reveal), pursued Larkin in any way he could. Johnson was assured that the executive would cover all financial costs. The libel was heard in April 1925 and the judge found for Johnson, awarding him £1,000 in damages. 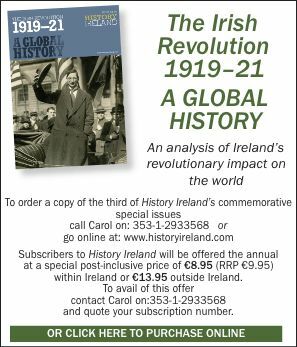 The article had actually been written by Jim Larkin Jr but Jim Sr assumed responsibility for it, claiming impishly that it would have been far more malicious had he written it. Much later, there would be a reconciliation between Larkin and Johnson. Above: The iconic image of James Larkin addressing a crowd in Sackville Street in 1923. The rift with his sister Delia occurred a year later. O’Brien opposed Larkin’s annulment in court in 1932 (arising out of the Johnson libel of 1925), using every opportunity to disgrace him. He instructed his solicitors (O’Connor and Co.) to question Larkin on the usual list of charges (mostly unrelated to his solvency). One of the questions was in relation to the Kingsbridge and Rapid Transit Company affair. When asked whether his brother-in-law Pat Colgan was driving lorries while the strike was on, Larkin responded: ‘I believe he was and before it’. This, then, is an admission that flatly contradicts the Irish Worker statement (of 30 August) and confirms James Curry’s thesis that Larkin had knowledge of the incident. Counsel for O’Brien further charged that Larkin was an investor in Colgan’s Rapid Transit business and had profited by it. Larkin categorically denied the charge, and said that he had no connection or inside knowledge of the company. It was then charged that the company was advertised in the Irish Worker. Larkin conceded that it probably had been, but he insisted that it would have been paid for in the usual way. When further questioned, Larkin stated that he was not connected to any business venture that Colgan ran out of 17 Gardiner Place. Interestingly, the documents reveal more. Despite the fact that Colgan had broken the Kingsbridge picket line, Larkin was to resume his friendship with him, and they frequently read together at 17 Gardiner Place, where Larkin had use of a room. It would appear, then, that Larkin had forgiven Colgan his transgression at Kingsbridge. There is no evidence, however, that relations between Jim and Delia improved, and this may have been due to activities taking place at Langrishe Hall, Langrishe Place, Dublin. Larkin was further questioned about Delia’s activities, particularly in relation to her having run ‘a game of “House”’ in Langrishe Hall. In common Dublin parlance of the time this refers to the game of Bingo, a game played by the poorer, working-class people. Langrishe Hall, a former Wesleyan hall (built in 1825), is at the north end of Langrishe Place, off Summerhill in north inner-city Dublin. The once-affluent area became run-down when the well-to-do moved out to the suburbs. Summerhill was an area that became known for its dire poverty, unemployment and bad housing (similar to other working-class areas in Dublin at the time). Above: Delia Larkin—more harm to the Big Fellow than any of the employers? When questioned, Larkin confirmed that Delia was connected with the game of ‘House’ that had been run at Langrishe Hall. He emphatically denied that he had anything to do with it, and stated that he had in fact ordered her to close it down. All Larkin knew, or was prepared to concede, was that she was the leaseholder ‘of a place [Langrishe Hall] where it was carried on’. According to the documents, Larkin made Delia close it down when he became general secretary of the WUI. He had assumed the position when he returned to Ireland (as one of the 25 executive appointees of the Communist International) from Russia at the end of August 1924. The game would therefore have been shut down by early September at the latest. Consequently, Delia Larkin was running, or allowing to take place (being the leaseholder), an activity that could be used to embarrass her brother at a very critical time in the fortunes of the labour movement in Ireland. Presumably her immediate acquiescence in the matter is post factum acknowledgement of this. It is not yet known why Delia had been running a game of Bingo amongst Dublin’s poor, or, at the very least, procuring money from the renting out of the hall. It may have been to finance some project within the Dublin working-class community, or it may have been for other purposes. It should be said that Bingo has a social aspect to it and is therefore different from the lottery-like numbers game that was being run by criminal syndicates in New York and other American cities at this time. It is somewhat surprising that O’Brien did not make more of this Larkin peccadillo in the post-1924 period (of course, it is possible that he did but that the record is lost). He certainly thought it worthy of being dragged up at the 1932 bankruptcy hearing, and this suggests that it would have had considerable currency at the time to damage the Larkin name. Above: James Larkin in old age—according to lifelong friend Jack Carney, ‘From that day [in 1924] to the hour of his death, Jim never spoke to Delia’. Being associated with the game of ‘House’ no doubt compounded Delia’s earlier difficulties with her brother in relation to the Kingsbridge affair. We can assume that if there was anything nearly as wicked as breaking a picket line to James Larkin gambling came close (followed just as closely by the consumption of alcohol, both of which he frowned upon). As for Delia Larkin, as James Curry has pointed out, she was a strong-minded woman of considerable achievements. Added to her trade union work in the early years of the Larkin-inspired movement, Delia played a leading role when she returned to Ireland in 1919 and led a campaign against the ‘Parnell Square caucus’ of O’Brien et al. With the help of P.T. 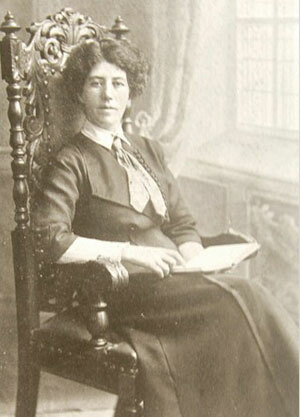 Daly and others, she successfully organised a Dublin strike to protest against the imprisonment of James Larkin in America and the refusal of the British to issue Larkin with a passport to return to Ireland. If her biography is to be written, however, it is going to have to contend with the Kingsbridge and Langrishe Hall affairs, their precise details and significance, and make an assessment of their impact on her legacy. Gerry Watts has recently completed a Ph.D on James Larkin and the intelligence community. 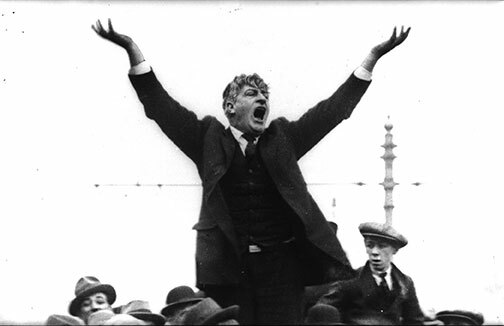 E. Larkin, James Larkin: Irish labour leader 1876–1947 (London, 1965). E. O’Connor, Big Jim Larkin: hero or wrecker? (Dublin, 2015).